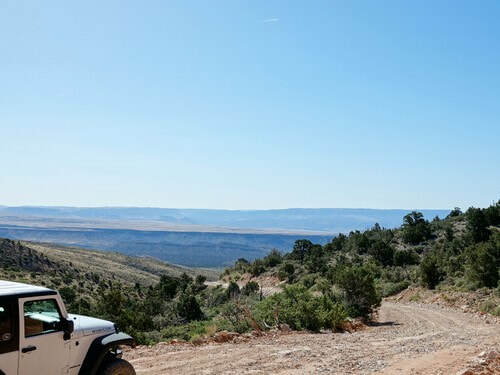 Scenic trip from Mesquite, over Black Rock Mountain, to I-15 south of St. George. 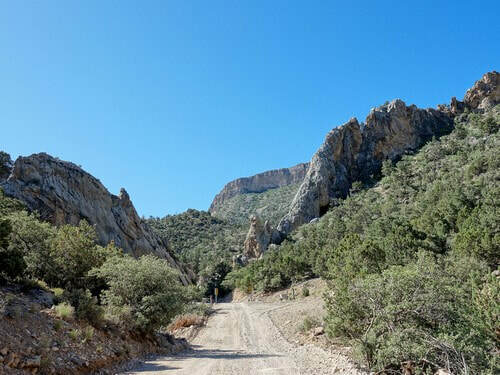 This trip starts with a run through the Virgin Mountains via beautiful Lime Kiln Canyon. 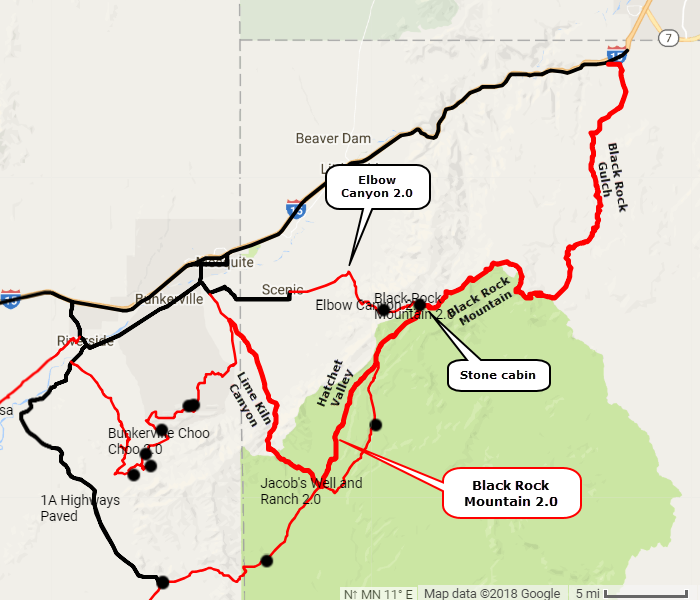 It then travels up Hatchet Valley to traverse the top of Black Rock Mountain, then drops down along Black Rock Gulch to I-15. We describe this trail south to north, but it can be run either way. 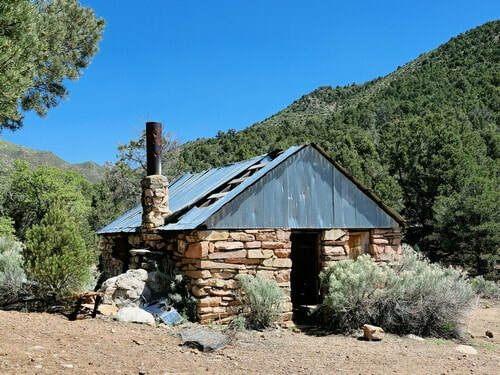 The stone cabin pictured here is just south of the intersection with Elbow Canyon 2.5. 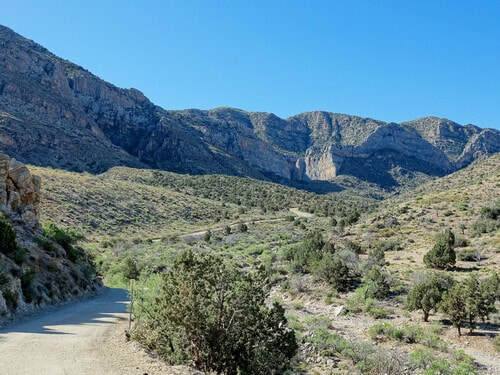 Lime Kiln Canyon is a really nice way to get through the Virgin Mountains. 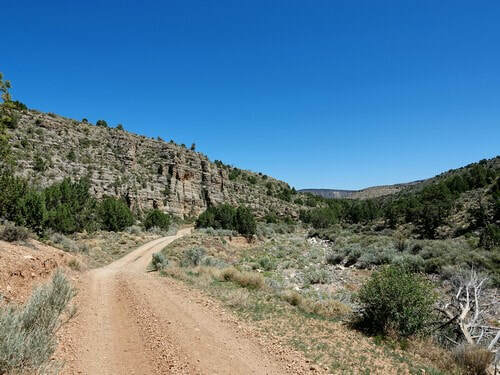 It is an occasionally graded County road so is fairly easy with only a few rocky spots. The exit of Lime Kiln Canyon has a vista that goes on for miles. 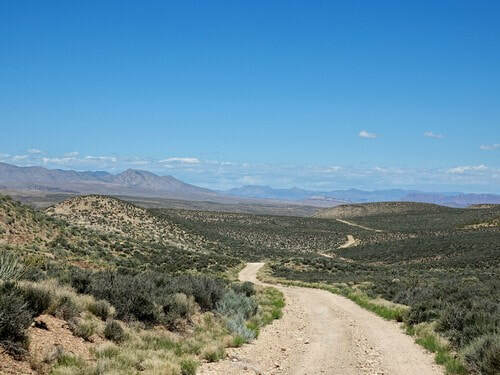 ​Drop down out of the Virgin Mountains into Hatchet Valley and turn north toward Black Rock Mountain. 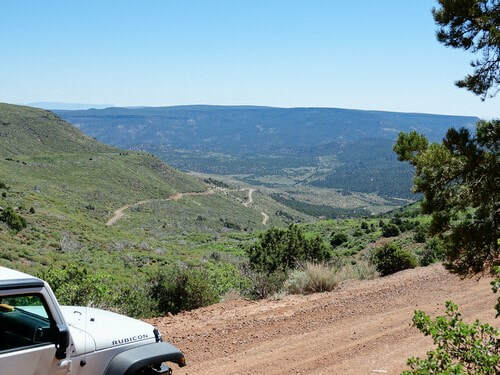 Climb out of the valley and intersect the Elbow Canyon 2.5 trail. 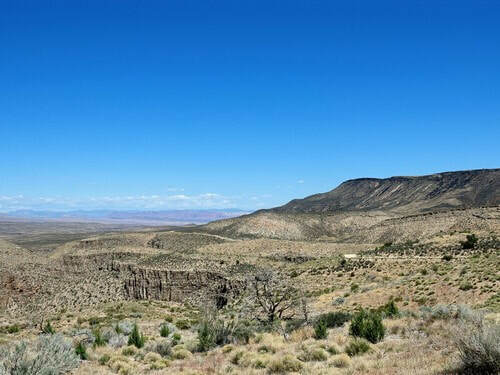 This one crosses the Virgin Mountains from Scenic, Arizona. The section from Hatchet Valley to the top of Black Rock Mountain is the narrowest and bumpiest section of the trail. 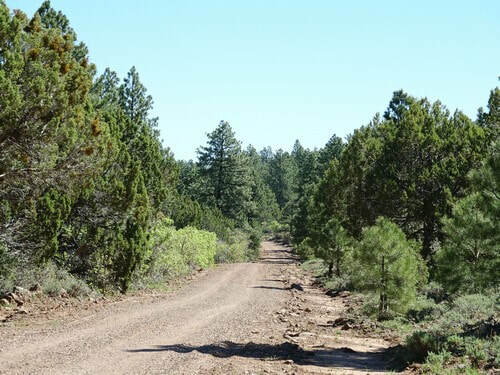 Lots of pinion-juniper forest and even a couple sections of ponderosa pine. 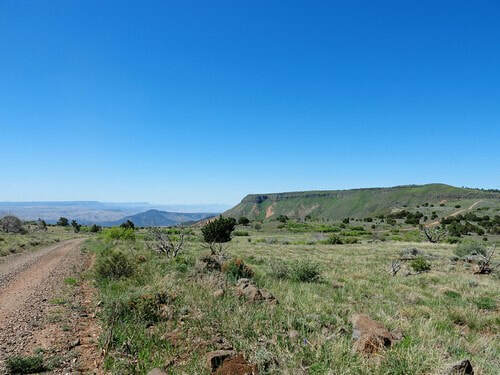 ​Break out of trees and enjoy open views along the top of Black Rock Mountain. It is quite a drop down into Maple Canyon. 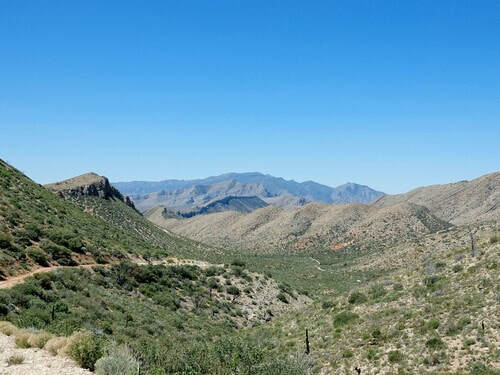 Leave Maple Canyon and travel along a steep, black canyon called Black Rock Gulch. Head on out to end the trip on I-15 south of St George.